movie at uu church re: bringing iraq children here to be patched up and then sent back to the war zone. Everywhere I go, whomever I speak with, any organization or vigil or event I'm at, I hear the same #one issue over & over again: there are simply NOT enough folks willing to step up, stop our lives for a moment, and commit to working to end war. Often it is the same, sometimes one brave soul, folks doing all the work in that particular community. As I travel, my first step is to ask those folks who are not now working full-time to end war, to commit three ADDITIONAL hours DAILY to ending war. I embrace the school of thought that does not stop with "appreciating where everyone is working at" but of also "encouraging ALL of us to set our goals higher, to push ourselves and each other to do more". 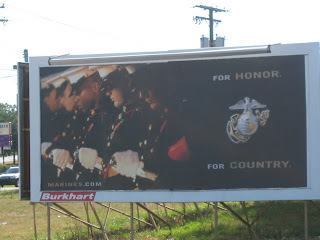 Let me make it clear that I DO so appreciate where everyone is at and the work everyone does: whether it is the person who for the first time in her life honks her horn in support of peace, to the person who has given up her home, her job, her family to go to D.C. for the duration until war is over. EVERYONE's work is valid, is appreciated, is necessary. AND we ALL need to do more! In our very important quest to get more folks involved, I ask us to look at our own lives and our own commitment to ending war as an attempt to understand these ‘others’ who are not becoming involved. Think about the reasons you have given yourself for not doing something: work, doctor’s appointment, fear of losing job, child-care – whatever. The point is that ALL of us can have a reason for putting our work maintaining our life-styles above our work ending war. ALL of us feel that our reasons are valid and important. And other people who are not getting involved also feel that their reasons are equally valid and important to them for excusing themselves from this work ending war. Then I ask you to think about the reasons you have given yourself to put working to end war above working to maintain your lifestyle: maybe your reason is “free time” or it happens to ‘fit’ into your schedule; maybe you’ve decided to pledge one day per month from work; maybe you care so deeply you are willing to risk your job, your family’s ire; maybe you have faith the rent money will come but not faith that congress will vote to end war. Whatever your reasons for getting prioritizing working for peace, these can also be reasons others might find valid for also prioritizing working for peace. One way that I have been attempting to address this issue, that seems integral to every group, location, every part of this country, is by urging each one of US to be the example, the ones who step forward and role-model how we are so very capable of putting aside our life-styles and commit ourselves to working together to end war! I do not find it helpful to look around and say "why are 'they' not getting involved?" We must say, "I will be the active, loud, out-there role model that will set the example for how to sacrifice, how to step forward, how to commit fully to work to end this war and occupation of Iraq". For it is up to US: we cannot wait for others but we can bring others along!